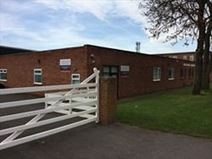 These offices are close to Doncaster town centre and within easy reach of the A1 and M18 motorways. Rent a desk in our shared office – the centre provides a full selection of business support services to suit your needs. These refurbished railway offices have been sub-divided to provide ideal city centre office space for small businesses and start-ups. They are all fully furnished and come with state-of-the-art technology and telecoms. 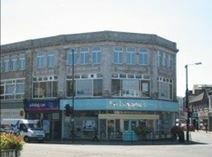 Situated in the centre of Doncaster, this office space comes serviced and inclusive of rates and utilities. Two small offices lead into an open plan area with kitchen facilities, accessible 24 hours a day. Only six miles from Doncaster Sheffield International Airport this, refurbished flexible office space is located in the heart of Doncaster, amongst various places to eat, drink and shop. Set within a meticulously maintained Grade II listed building, the modern centre also offers serviced meeting space, an on-site delicatessen, healthcare facilities and nursery provision. The space has recently been refurbished to a high standard. This centre is situated on a popular business park, and offers an impressive purpose built venue for your business. All offices benefit from natural light and a range of excellent business support services. Amenities include a staffed reception area, access to modern kitchen facilities, showers and bike racks which are ideal for those cycling to work. Doncaster Town Centre is just a five minute drive away.